Shoes arrived as expected. Brand new! Shipments to: 1) United States will be shipped out by DHL/ EMS (3 to 7 day delivery) * APO/ FPO address will be shipped out by standard Air Mail (7 to 21 day delivery) 2) Asia will be shipped out by EMS (3 to 7 day delivery) 3) Other countries will be shipped out by EMS (3 to 7 day delivery) / standard Air Mail (7 to 21 day delivery) * Please note: In occasions when import tax, duties or related customs fees are incurred, the cost is not covered in the payment made. 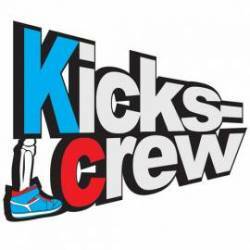 KicksCrew.com is an online store that caters authentic, rare sneakers from Nike, Adidas, Vans, New Balance, Puma, Reebok, etc. All our items are 100% AUTHENTIC. It was established in 2008. Because of our love and passion for sneakers, we decided to share it to people from across the globe.